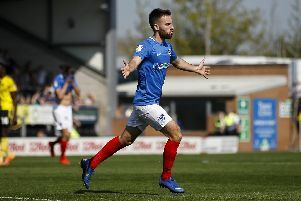 Eight fledgling talents have been identified to continue their promising Pompey careers. Stan Bridgman, Tom Bruce, Harry Kavanagh, Liam Kelly, Haji Mnoga, Leon Pitman, Ethan Robb and Alfie Stanley have all penned two-year scholarships at Fratton Park. They are all 16 apart from midfielder Robb, who celebrates his birthday next week. And the young aces are all from the Portsmouth area except goalkeeper Pitman, who hails from the Isle of Wight. The eight youngsters will represent Mark Kelly's under-18s side this season in the Youth Alliance League and the FA Youth Cup. The majority of the group represented the academy at some stage last term.